Are you looking for a professional car mechanic who can come to your home or work place and fix your vehicle? Look no further. 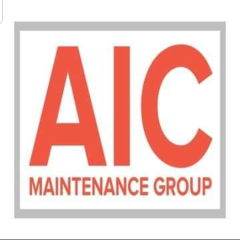 The mobile mechanic at AIC Maintenance & Repair can carry out complete vehicle maintenance work to help your car run smoothly. We can visit your location for vehicle repairs and maintenance. We have a flexible work schedule for your convenience. Get in touch with us for further details about our services. Although the fault finding carried out appeared to be sufficient, the electrical problem reported was due to the main battery. I was disappointed that this was not tested as it should have been an obvious starting point. Further more, the radio was not working due to blown fuses and the head unit faulty, again, I would have thought this would have been picked up I never a general fault finding process. Adrian was very friendly and efficent in getting rear calipher fitted in min time. Adrian was great. Came to see the car as scheduled and diagnosed the fault. Have rebooked him to return and fix next week. Highly recommended. Arrived well outside the allotted time I was worried that he might not come at all. Sent text to him and he rang back to say was on his way but in traffic. In due course he arrived and carried out the work OK. I was disappointed that the quote given did not include all the fittings needed to fit the exhaust a further £30 being needed for new fittings ,bolts rubber supports etc. in the event he said the originals were OK and were reused but I consider that this should have been made clear on the quote. The work was carried out satisfactorily and he was friendly. Good mechanic and efficient and very happy with the work he carried out as my car is back on the road after 6 months. Adrian did a great job, he kept communication channels open during the whole process, would certainly use again and recommend. Top notch service. I would definitely use again. Yes - extremely pleased - he obviously know what he was doing - tried a few things to see if he could fix it there and then - but it was not possible so he went away - went through the diagnostics and came up with a plan to fix it - he did not just suggest changing everything - which would be expensive - he eliminated possible causes one by one and has isolated two items that need changing.